Just by looking at the borzoi dog breed, you can deduce that this dog must have been selectively bred for his speed. The borzoi’s aerodynamic looks give the impression of a dog blessed with ground-covering stride and effortless power. Even the name of this breed denotes briskness; “borzoi” is the Russian word for “swift.” Despite being built for speed, these dogs also posses an unmistakable elegance, which makes them stick out from the crowd in the show ring. But what were Borzoi originally bred for? Today’s trivia question will therefore focus on the original purpose of this breed. 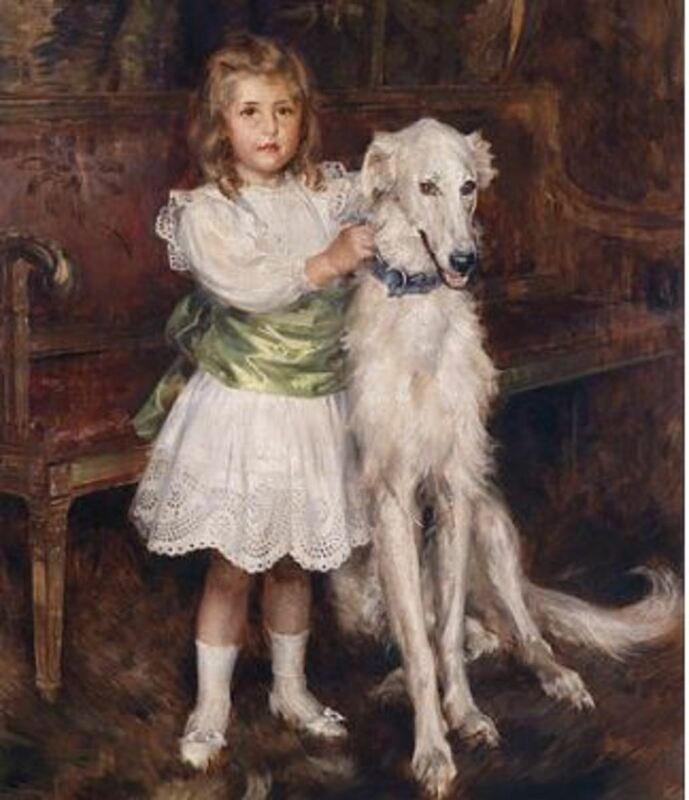 What were borzoi originally bred for? The correct answer is B, for hunting wolves. Despite this breed’s noble and sophisticated look, Borzoi are hunters at heart. Also known as the Russian wolfhound, the Borzoi was used by rich landowners, nobles and Cossacks for hunting down wolves in Soviet Russia starting from the 17th century. The wolf populations were high back then, and the wolves posed a threat to livestock and humans. 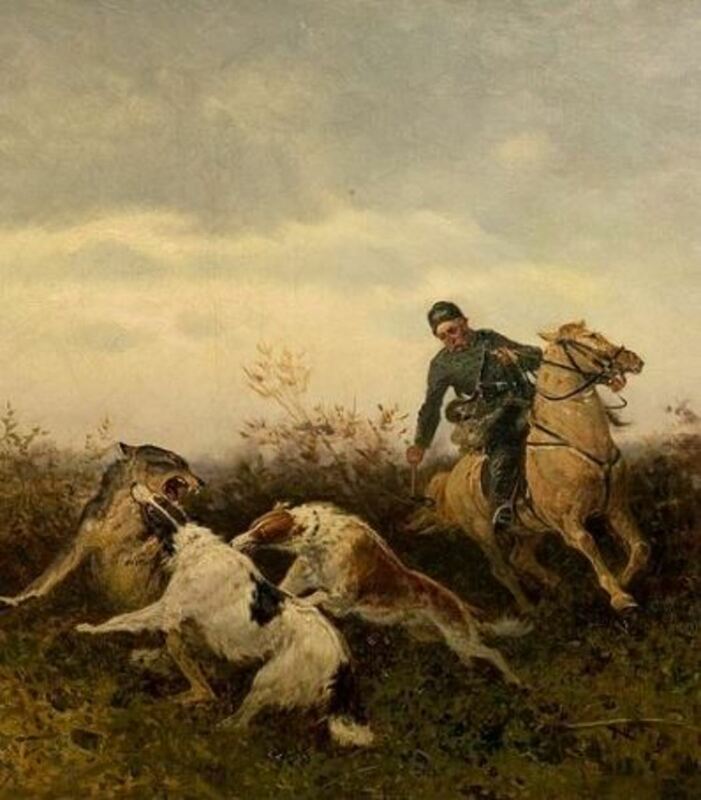 The strategy for hunting wolves entailed trapping them between a group of men on horses surrounded by several dogs of different breeds and a man on foot holding up to six dogs on leash. Several scent hounds were sent to track scent and upon detecting a wolf, they would start baying loudly. Their loud baying and howls served to alert the hunter, signaling that it was time to send out the “catch dogs” often consisting of a team of 2 or more borzoi. Upon unleashing the borzoi, they would run at full speed and capture the wolf holding him down by the neck and ears until the hunters took over, delivering the “coup de grâce”. Other than hunting wolves, borzoi were also used for coursing hare and other game. Understanding what this breed was selectively bred for can help give an insight on what traits to expect in these dogs before welcoming them in our hearts and homes today. For instance, unlike the baying hounds, the borzoi was selectively bred to be a quiet hunter, sprinting after the wolves at full speed. This makes borzoi overall quiet pets, generally making poor watchdogs. Of course, borzoi are bred for speed, so with a history of slicing through the air with their slim bodies, they require opportunities to run loose. They don’t need to run for miles, but need an opportunity to burn up that pent-up energy. This must occur though in a safe and enclosed area, otherwise they’ll be gone within seconds, getting lost or worse, hit by a car. People who claim this dog to be stubborn have missed the whole point of this breed’s original purpose. With a history of working at a distance from their handlers hunting independently without much guidance, borzoi are therefore (as expected) predisposed to being independent thinkers. If one must train one, instead of labeling them as stubborn, it’s far more productive getting creative and churning out ideas on how to create motivation. An opportunity to chase or access to a flirt pole may turn handy with these guys as a way to reward desired behaviors. And of course, they will have a tendency to chase anything that moves and that may include squirrels, the neighbor’s cat and even small dogs. Introduced early though, they may get along with the family cat, but keep in mind that their attitude may dramatically change upon seeing outdoors cats fleeing, warns the Borzoi Club of America.